The Office of the Controller of Examinations(OCE), Sanothimi, Bhaktapur has publish the result of Grade Improvement/ Supplementary Exam of Secondary Education Examination (SEE). The supplementary examination of SEE was held on Shrawan 23, 2075 to Bhadra 02, 2075. HOW TO VIEW RESULTS ! 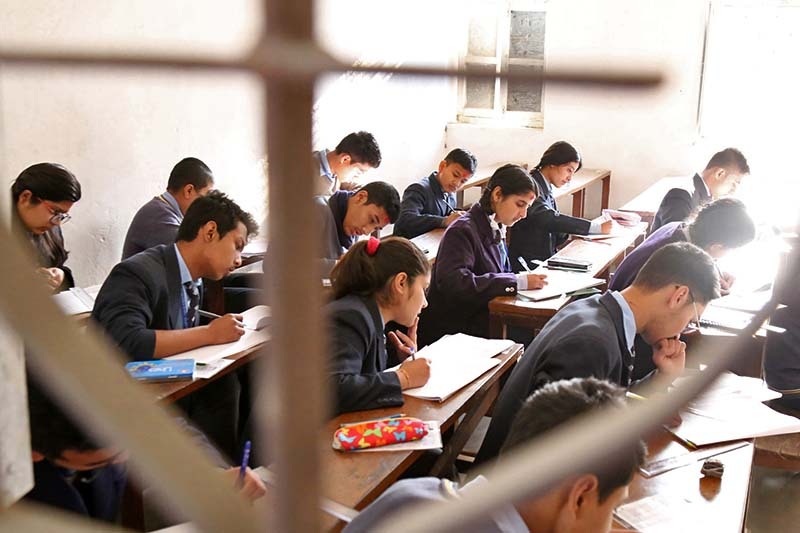 Students who have appeared the Secondary Education Examination (SEE) conducted on Chaitra 2074 BS and were absent or got 'C' / ‘D+’ / ‘D’ / ‘E’ grade in two subjects participated in the Grade improvement / Supplementary examination held. Facts: SEE Exam Result 2074/75 (2017/2018) ! The results of Grade 10 Secondary Education Examination (SEE) was published on 23 June 2018 in letter grading system. Of the 485,586 students who filled forms, 463,689 students appeared for the SEE while 21,897 student were absent. Under the regular general category, 14,234 students secured Grade Point Average ranging from 3.65 to 4.00 (A plus); 46,130 students earned GPA between 3.25 and 3.60 (A); 49,037 students’ GPA was in the range of 2.85 to 3.02 (B plus); 70,512 students’ GPA was between 2.45 and 2.80 (B); GPA of 61,870 students was between 2.05 and 2.40 (C plus); 10l,043 students’ GPA was in the range of 1.65 to 2.00 (C); while 35,584 students secured GPA ranging from 1.25 to 1.60 (D plus). The GPA of 58,685 was between 0.85 and 1.20 (D). Last year, 12,284 students out of 445,564, who appeared in the exam under the regular general category, had secured GPA ranging from 3.65 to 4.00. Total 451,532 students, including 227,931 girls, appeared under the regular general category that commenced on March 22 and ended on April 3 this year. Similarly, 25,138 students, 10,661 boys and14,477 girls, took the exams under the exempted general category in which none of the examinees secured GPA ranging from 3.65 to 4.00, while two secured GPA between 3.25 and 3.60 while 177 and 702 students got GPA from 2.45 to 2.80 and from 2.05 to 2.40 respectively. Under the regular technical category, 8,906 students had taken the exams.